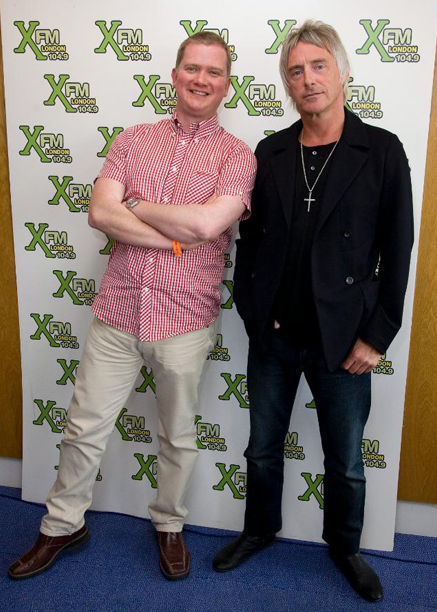 Paul Weller Xfm Contest Winner! – Paul Weller News! Paul Weller Xfm Contest Winner! Xfm held a contest calling for questions addressed to Paul in exchange for a chance to meet him. Here’s a photo of one of only ten winners, Guy and Paul. “Like many others I entered the competition without any hope at all and on Friday at 4:30 had a call saying I was invited to come to London and meet the man.” Guy’s winning question and response from PW below. Previous Entry Paul Weller Feature From Channel 4 News! Next Entry Early Sales Report For Paul Weller’s "Wake Up The Nation"